Celebrated rock guitarist Michael Schenker will start touring Michael Schenker Fest in less than a month. The tour includes dates in London O2 Shepherds Bush Empire (Nov 2), Sheffield O2 Academy (Nov 3), Manchester O2 Ritz (Nov 4) and Hull City Hall (Nov 5). Tickets for the concerts at O2 Shepherds Bush Empire London, O2 Academy Sheffield and O2 Ritz Manchester are on sale from Ticketmaster and Ticketweb. Tickets for the Hull City Hall concert are on sale from the Hull City box office booking link – hullboxoffice.com. UK rock band DEPARTED will be supporting Michael Schenker on all UK dates. Michael Schenkers endeavor to unite rock fans together at his concerts has enraptured his audiences and so it is fitting that his most recent concept of Michael Schenker Fest doesnt disappoint. 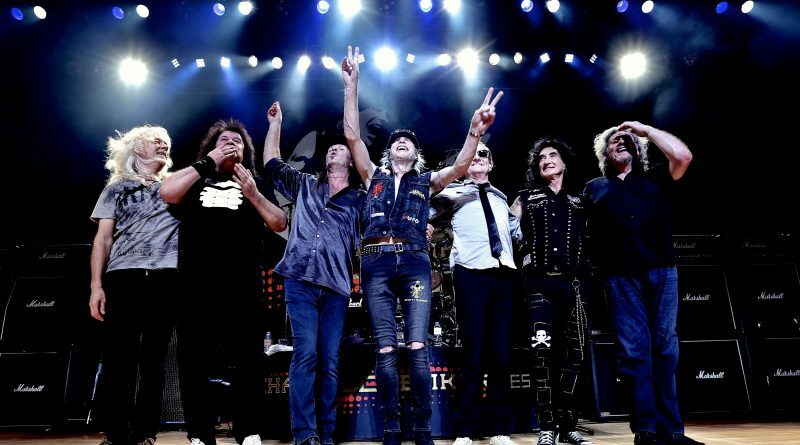 The project reunites the original Michael/McAuley Schenker Group vocalists Gary Barden, Graham Bonnet and Robin McAuley, plus MSG musicians Steve Mann (guitar, keys), Chris Glen (bass) and Ted McKenna (drums). Says Schenker, “Its a miracle that after all these years, a tour like this will take place with the original band members of M.S.G.